If the lifting angle α (see picture 2) is greater than 45°, a lifting device equipped with a pressure plate must always be used. The length of the inner thread in the lifting must be long enough for the thread of the lifting device to fit completely in to the lifting anchor. 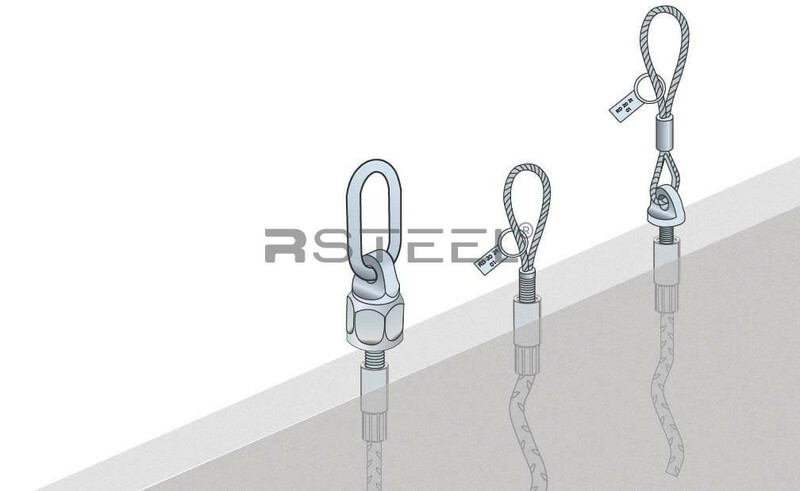 This allows for full usage of the capacity of the lifting anchor and the lifting device and is particularly important when using lifting devices equipped with pressure plate. The pressure plate must be securely against the concrete with all of its surface area to be able to fully use the capacity of the lifting device. Additionally, the surface area against the concrete must be large enough for the concrete not to crack under the load inflicted by the moment which occurs due to the eccentricity of the horizontal component of the lifting force. RSTEEL® 2018 range of products has a wide selection of standard applications such as nailing plates, recess formers, plastic caps etc. 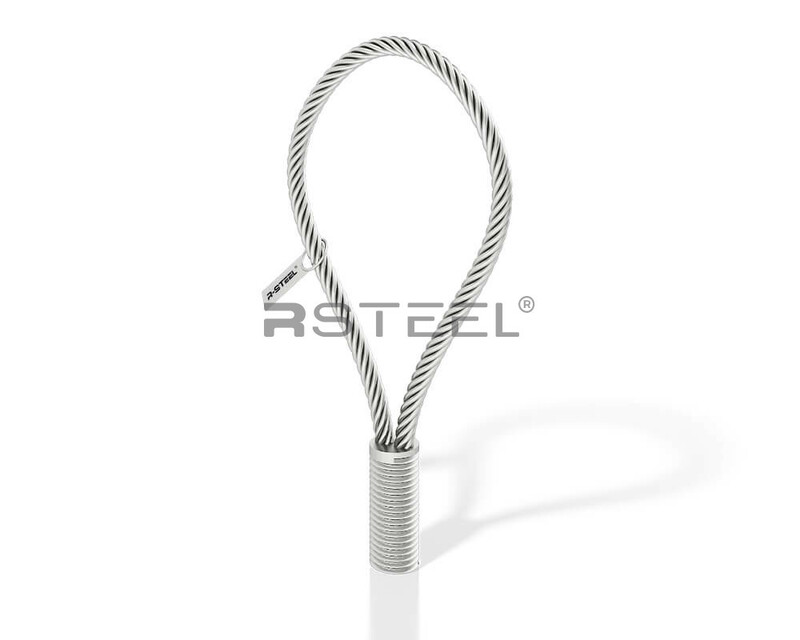 RSTEEL® Lifting System has a color code for easy recognition of every thread size. Tailor made solutions for your special demands are also available. We stock a full range of fixing accessories and have access to a wide range of others, please ask should you be unable to find a solution for your application.